Hi everyone...Alex with the Show Notes for Travel First Episode 10. 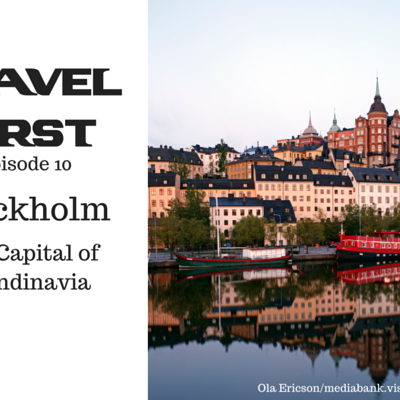 In this episode I take you to Stockholm, capital of Scandinavia...and home to the Eurovision Song Contest in 2016. And of course...home to ABBA. So come and enjoy this beautiful city with me and I'll give you some tips on what to see and do...plus a few handy travel tips. Subscribe, rate and review at iTunes, audioBoom, Stitcher, Pocketcasts, Podbean, Podcast Addict or any good podcatcher app. Stream episodes from www.bitesz.com (mobile friendly). If you have any travel photos you'd love to share with us please do so at any of our social media sites. We would love to see them. Travel First with Alex First & Chris Coleman Episode 11 - Welcome to the Ice Hotel.